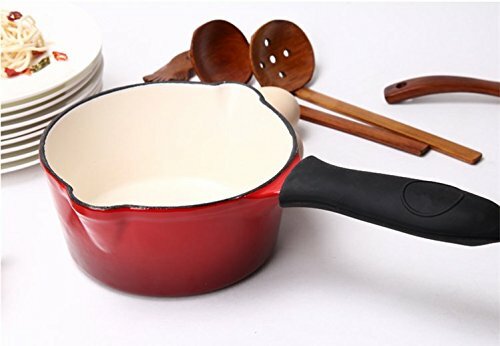 Premium Silicone Material - Made of high-quality, heat-resistant silicone, the sleek holder feels comfortable in the hand and provides ample insulation, protecting hands from an otherwise too-hot-to-touch handle to 475 Degree F.Perfect for anything from copper pans to cast-iron skillets, at home or when camping. 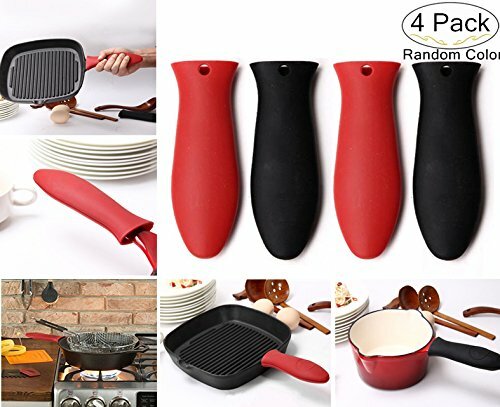 Anti-slip Texture- Handle holder specially designed raised anti-slip texture on the handle,secure, comfortable and stable grip for more security when moving heavy hot pans.Heat reducing and enhanced grip with internal silicone ribbing gives the Silicone Hot Handle Holder extra protection for your hands.Easy to use, just slide the silicone handle over the metal handle of your favorite pot or cast iron skillet to protect your hands. 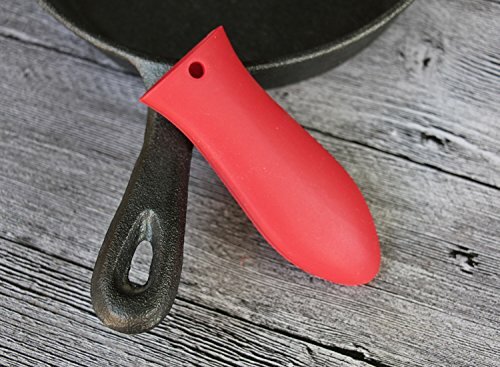 Easy to Storeand Clean -The length of the hot handle silicone holder is 5.6 inches and 1.97 inches wide, Small and flexible the handle will store easily in your kitchen drawer ready for the next use, Also has a handy hanging hole if you prefer to store on a hook within easy reach.Dishwashersafe. 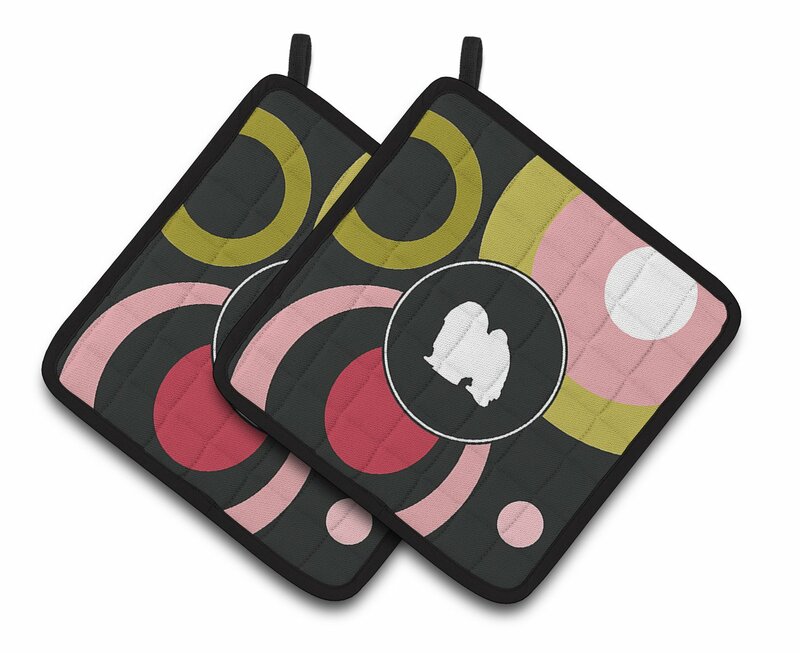 No texture on the surface makes it also easy to clean by hand. 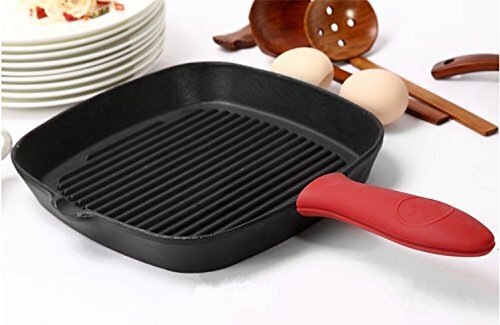 Practically everything washes off the nonstick surface with ease. 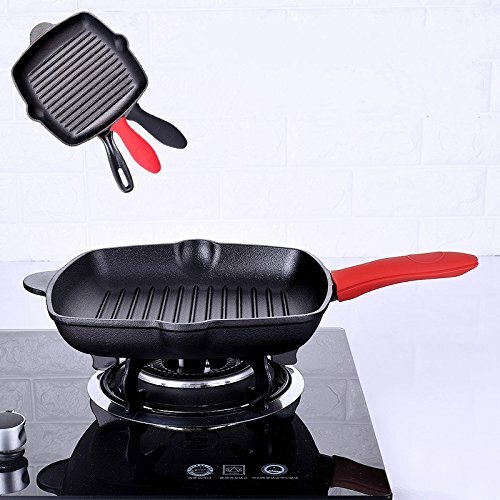 Versatile to Any Kitchen Cookware with Handles - Heat Resistant Hot Handle Holder is perfect for Cast Iron Frying Pans, Ceramic or Enameled Cookware Handles.A useful addition to any busy kitchen, makes it easy to safely move hot pans from stovetop to oven without burning hands. 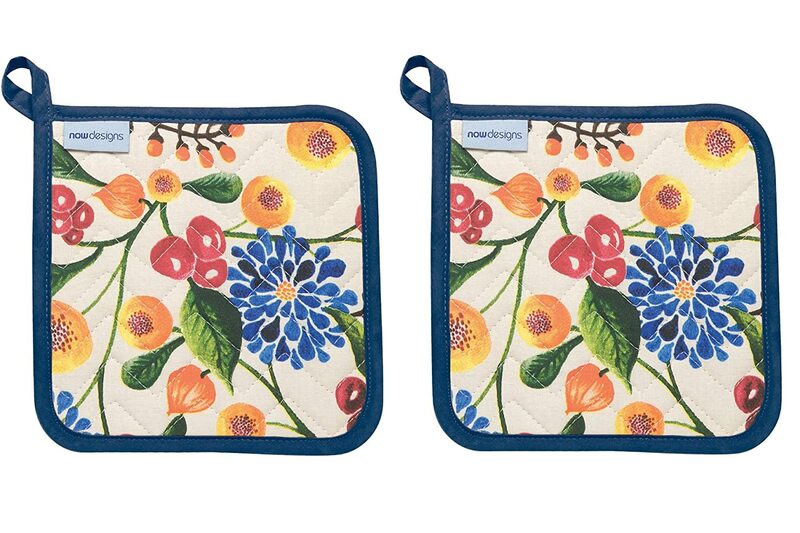 The accessory offers a great alternative to traditional pot holders and large oven mitts. 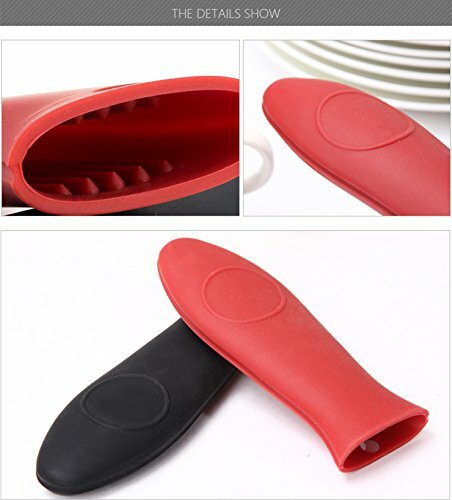 Satisfactory guaranteed - The package is a pack of 4 pack of silicone hot handles in black and red. We fully stand behind of our products. 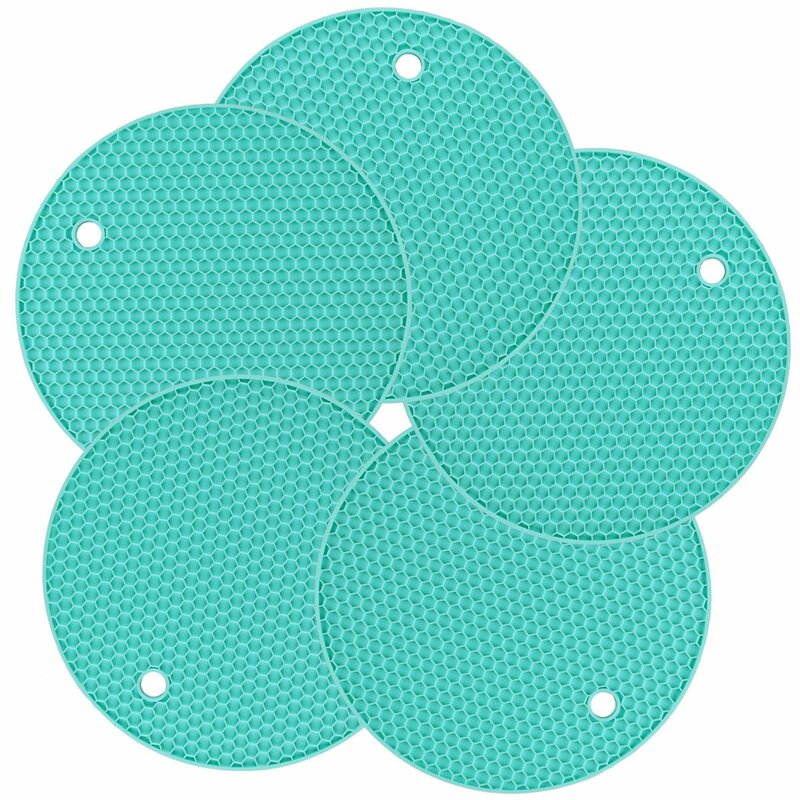 These silicone handle covers come with a 12 month warranty. If you received broken or defective unit, please contact us any time, we will compensate you with free replacement or full refund. 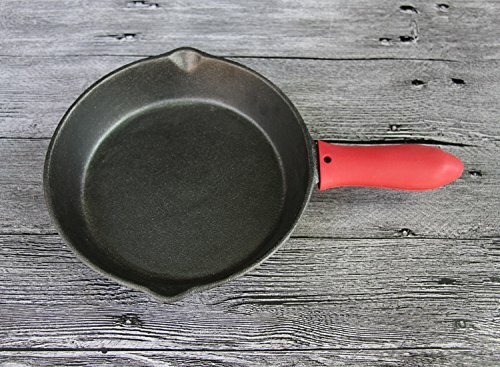 The secret of how to protect your hands when cooking with cast iron skillets or pans, so that you don't forget about the heat and grab the fiery hot handle of the skillet by mistake. 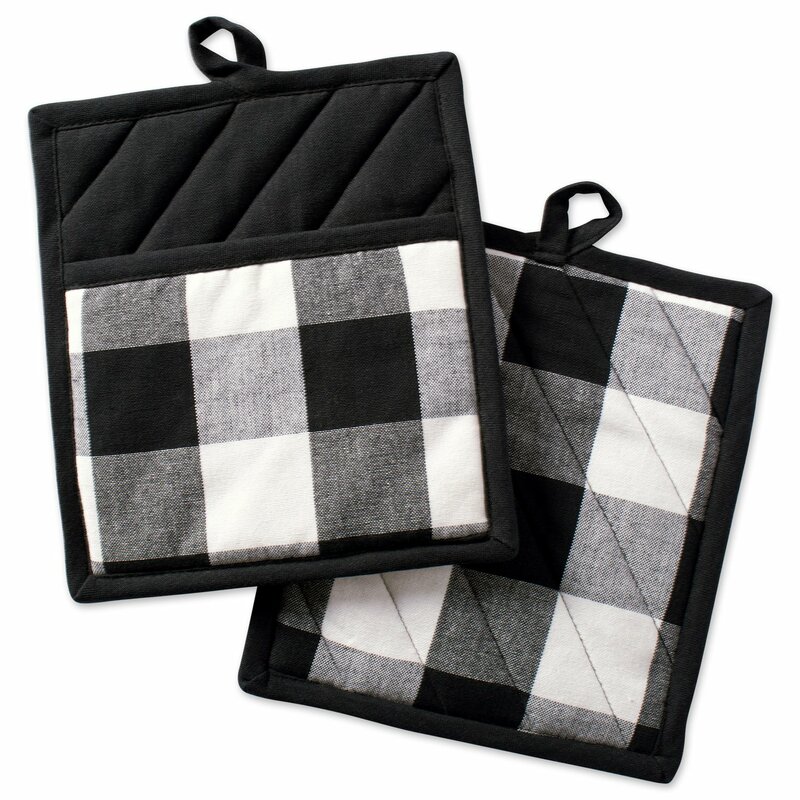 Preparing new and exciting recipes is always better with great cooking accessories A useful addition to any busy kitchen, the Hot Handle Holder makes it easy to safely move hot pans from stovetop to oven or table without burning hands.The small, practical accessory offers a great alternative to traditional pot holders and large oven mitts. 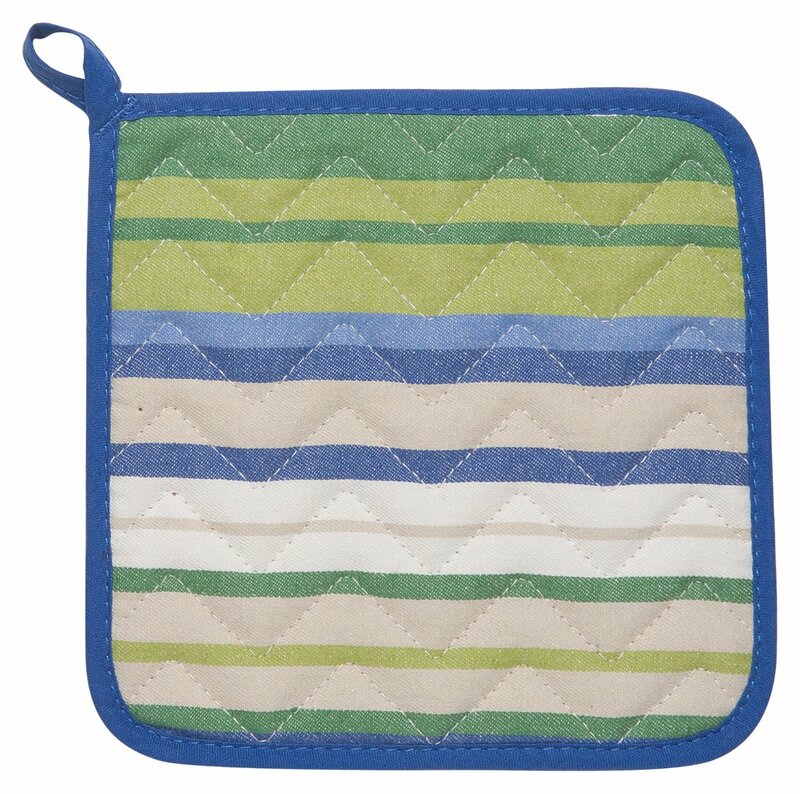 -Practically everything washes off the nonstick surface with ease. 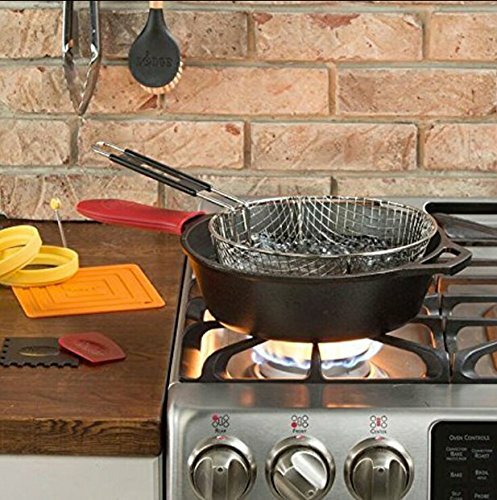 -Insulating kitchen accessory protects hands from silicone handles. 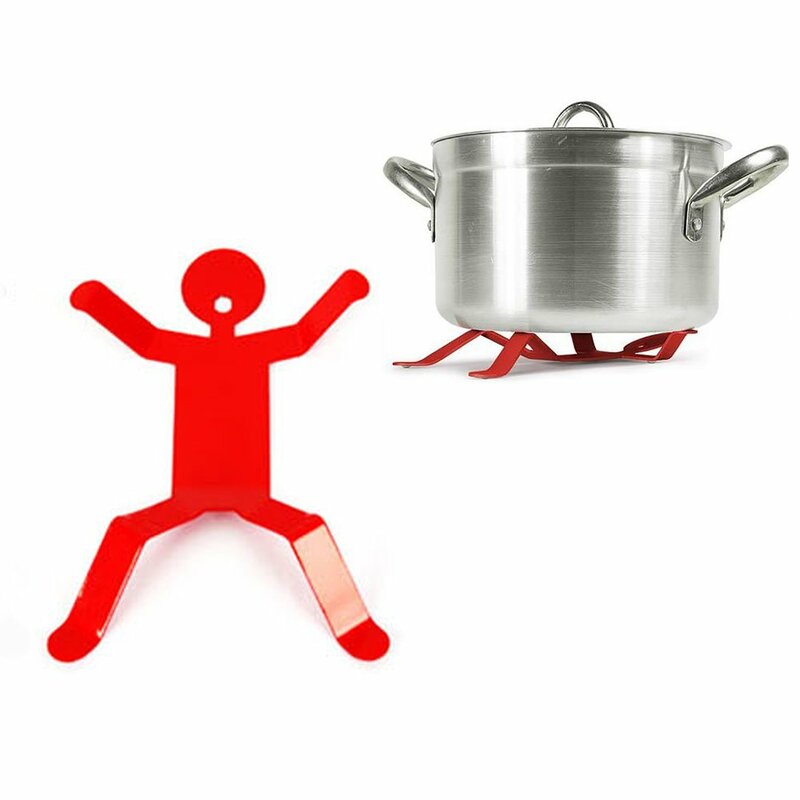 -Small and flexible the handle will store easily in your kitchen drawer ready for the next use, also has a handy hanging hole if you prefer to store on a hook within easy reach. 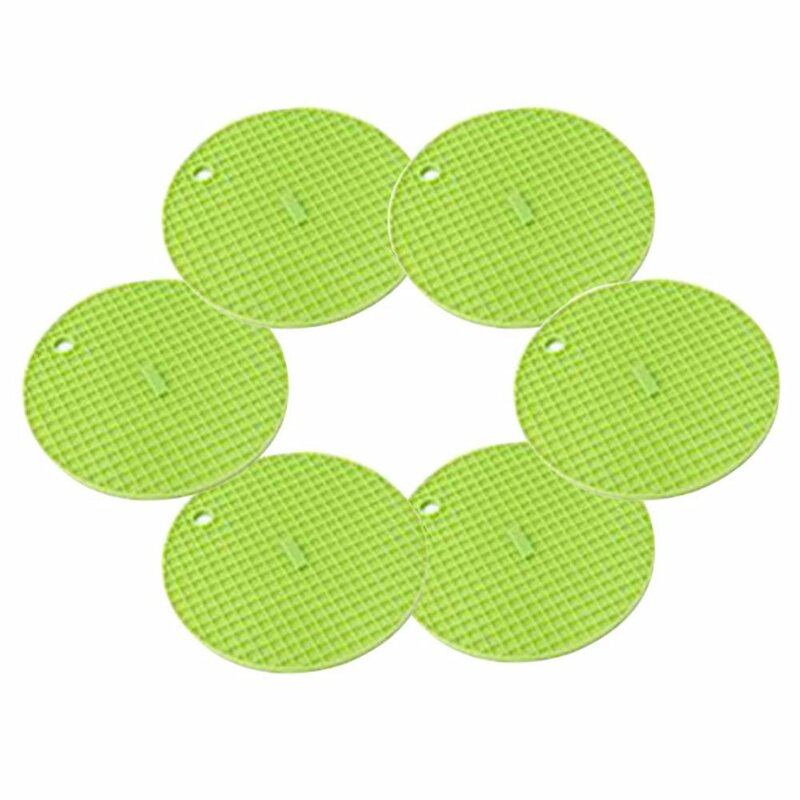 -Designed with a relaxed fit, which will stay on securely and be easy to remove when required. 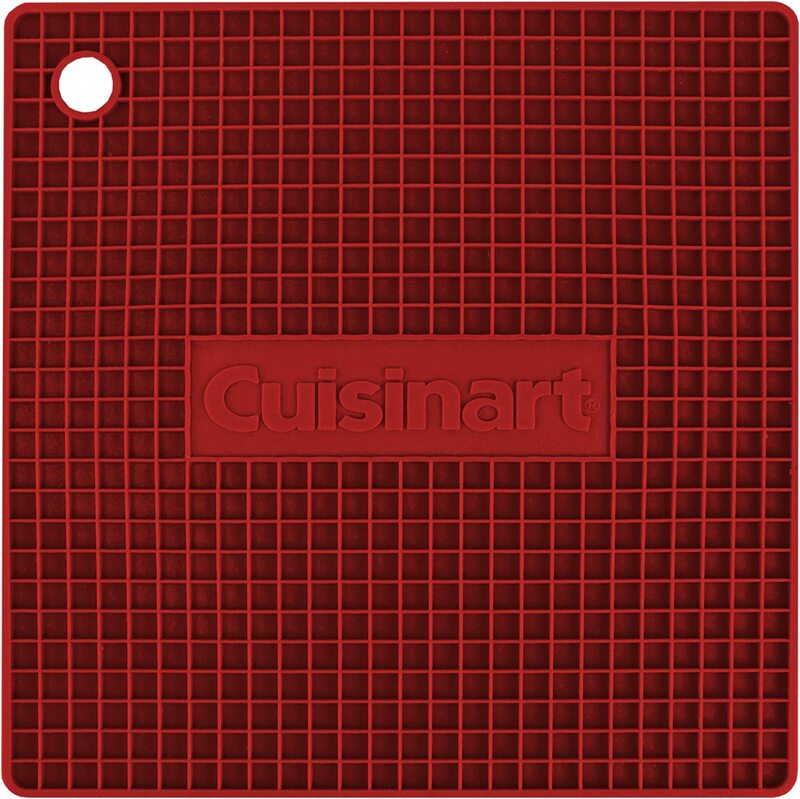 -Handle can be left on at low-medium cooking temperatures on your cook-top, and be used for transfer to oven- handle. 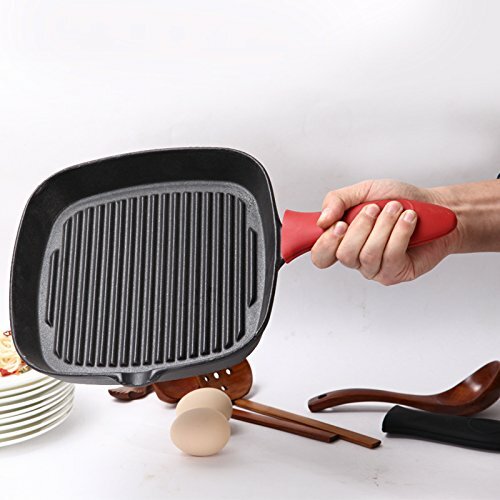 -Perfect for anything from copper pans to cast-iron skillets, at home or when camping. 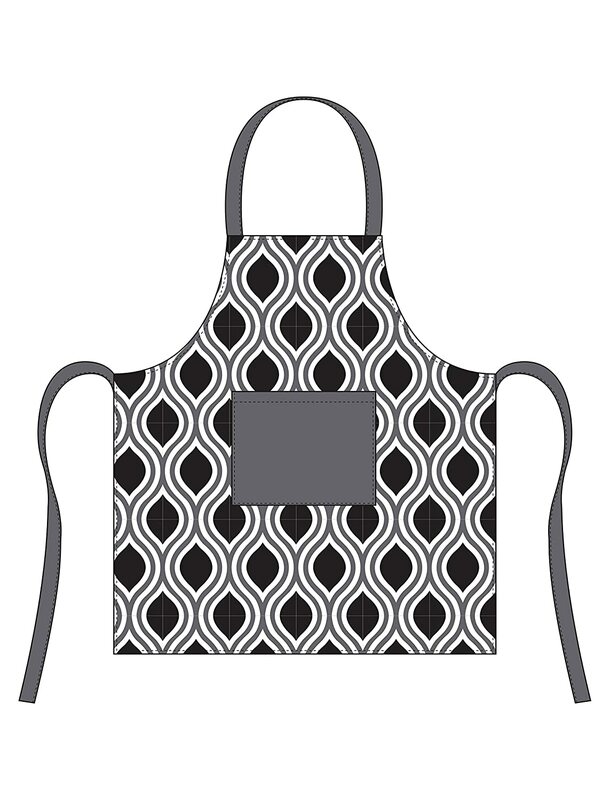 Hotel 62814 Tear Apron, Black/Grey Domay Sales Inc.